The Engagement Summary Report presents the broad range of opinions, ideas and aspirations provided by community members and stakeholders during the public comment period, from March – July 2018. The feedback has been collated and categorised, to understand topics, themes, demographics and levels of support using both qualitative and quantitative analysis techniques. Volunteer overnight testers at Point Nepean National Park. Engagement Summary Report – CANOPY Eco Sleeper Pod Pilot, September 2018, is available to download from the document library. 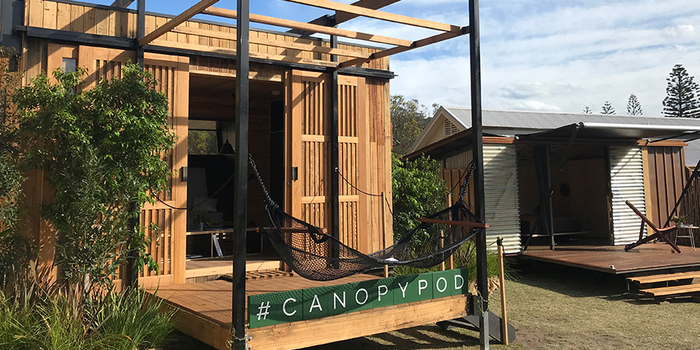 The CANOPY – Eco Sleeper Pod pilot is an exciting initiative from Parks Victoria, designed to help protect our environment for the future by connecting more visitors with the natural beauty of Victoria’s parks. The pilot program will run for three months. During this time, we want to get feedback from visitors like you about the design, amenity, accessibility and visual impact of the pods, as well as the kinds of activities you’d like to experience. Eco Sleeper Pods can help increase the accessibility of our parks. We’re seeking feedback from current and prospective visitors with a broad range of abilities. This will ensure we provide an inclusive experience that enables visitors with a disability, their families and carers to get the health and wellbeing benefits from visiting a state or national park. 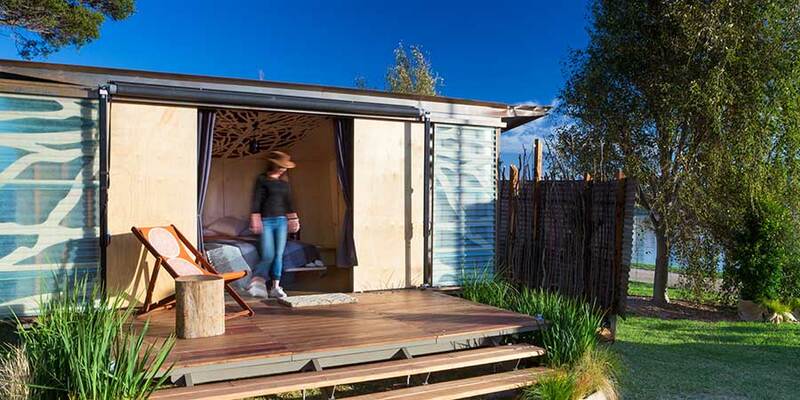 Using sustainable practices and environmentally-friendly materials such as renewable timber, Eco Sleeper Pods sit lightly in their surroundings. The pods being tested during the pilot program are from the following Australian architectural firms – JAWS Architects + Pod Matrix, and Troppo Architects + Oscar Building, with the addition of CABN for the overnight experience testing. Read the Project Information Summary to learn more about the pilot program. Diagrams and drawings showing details of the pods' designs and materials are also provided below. The first display pod was set up beside Albert Park Lake. The doors open to a compact wooden deck. 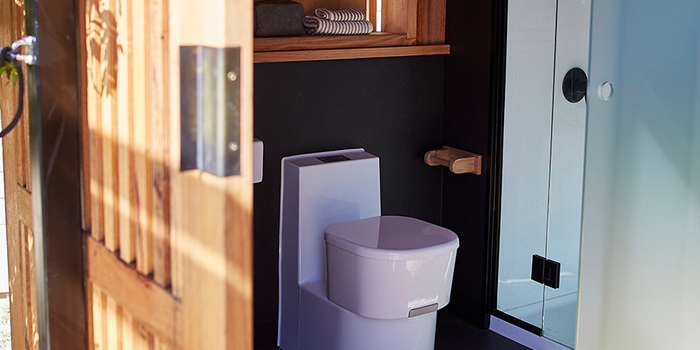 This style of pod has an outside toilet and shower surrounded by a privacy screen - as seen to the right of the pod in this photograph. This style of pod contains an indoor toilet and shower and a basic kitchenette. 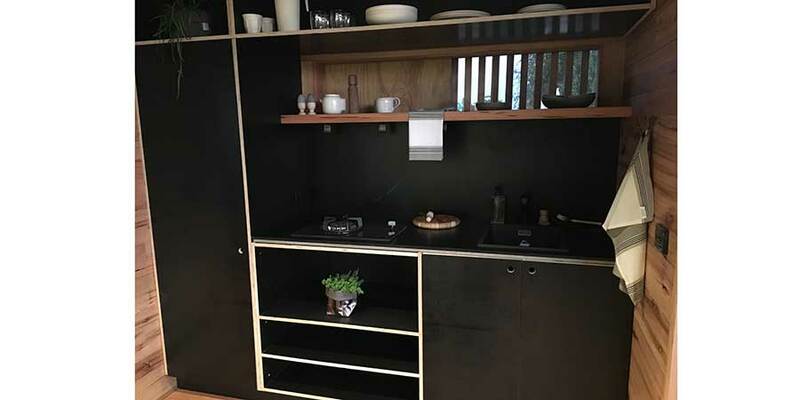 The self-contained pod has a small kitchenette supplied with utensils. There are a number of Eco Sleeper Pod designs being tested in the CANOPY pilot. 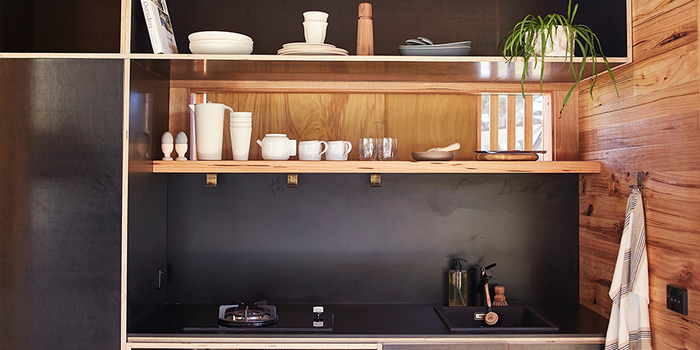 Kitchenette facilities in the JAWS Architects design, with eco-friendly supplies. This design saves space with a sofa that converts into a double bed. Enjoy your private balcony, and be at one with nature in your outdoor shower in the Troppo Architects design. Bathroom amenities for your convenience in the ensuite, with an enclosed inside shower in the JAWS Architects design. Read the Project Information Summary to learn more about the pilot program. Diagrams and drawings showing details of the pods' design and materials are also provided below. Parks Victoria conducted a range of meetings with government and key stakeholders. Further engagement with community and stakeholder groups to unpack complex issues. Make the results of the pilot program and community input available to the public. Due to the pilot being extended, results of the engagement will now be available in September. What are Eco Sleeper Pods? Who designed the Eco Sleeper Pods? Will the Eco Sleeper Pods have all-abilities access? 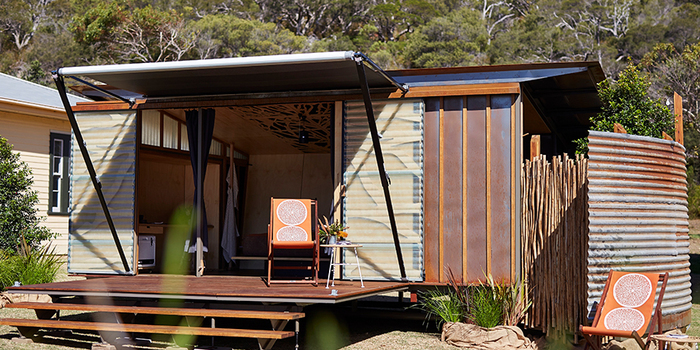 Eco Sleeper Pods are environmentally friendly, fully transportable temporary accommodation that will be available to visitors in a number of park locations across the state. The pilot will include a variety of styles with and without kitchen and bathroom facilities, as well as the ‘off grid’ models that are fully self-sufficient with electricity and water. The Eco Sleeper Pods are made from environmentally friendly materials, and facilities such as cleaning and rubbish removal will adhere to best practice standards. 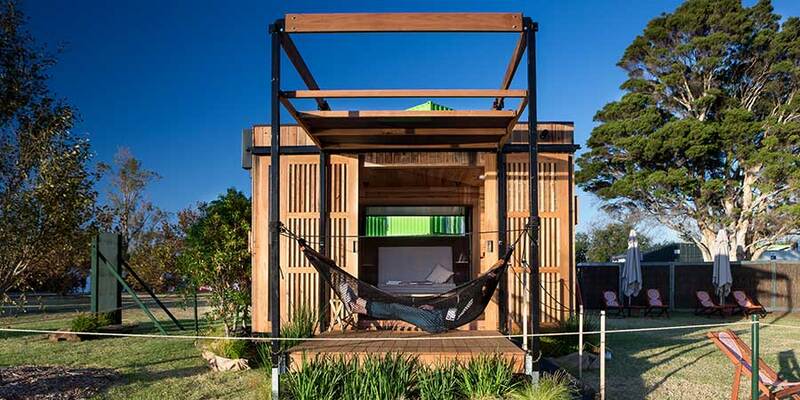 CANOPY - Eco Sleeper Pods have been cleverly designed by Australian architects JAWS Architects + Pod Matrix and Troppo Architects + Oscar Building, with the addition of CABN for the overnight testing experience, using sustainable practices and materials. Crafted from renewable timber, they’ll sit lightly in their surroundings. They are not permanent and can be disassembled and moved when required. Stringent environmental monitoring will be carried out throughout the pilot process, with sustainability, energy efficiency and minimal environmental disturbance being a major focus. 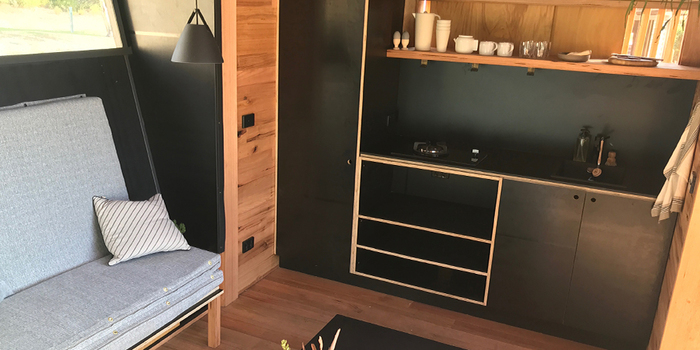 Parks Victoria aims to make the Eco Sleeper Pods accessible for all abilities where possible and compliant with the relevant Australian Standards. Where will they be during the pilot? The community can view the different designs while on location at the Grand Prix (22-25 March) or at Point Nepean National Park (14 – 30 April). How were the CANOPY - Eco Sleeper Pods selected? 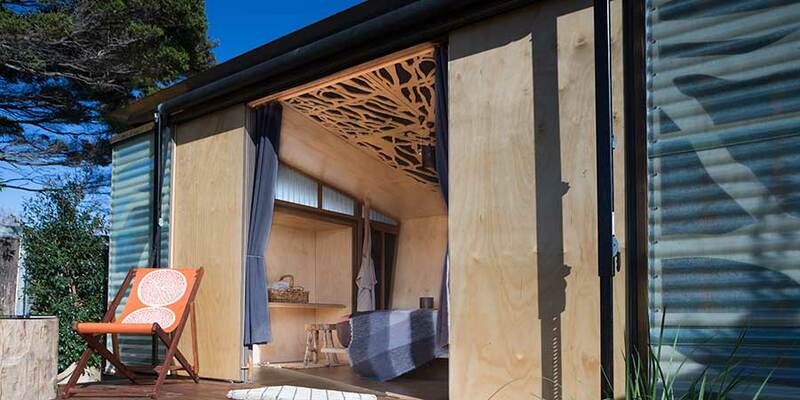 Parks Victoria engaged in an Invitation to Supply process, where 20 organisations were invited to submit their proposal for sleeper pods in various locations within Parks Victoria. A panel review process selected three suppliers based on design and environmental impact features. Can the Eco Sleeper Pods be used all year round? The CANOPY – Eco Sleeper Pod has lined timber walls and a fixed roof. This means that it can withstand the colder and wetter seasons. Whether you’re a skilled camper or a first-time visitor, CANOPY – Eco Sleeper Pods will help you uncover a new world of nature. How will they impact the environments they are placed in? The CANOPY - Eco Sleeper Pods were selected using strict environmentally sustainable design criteria, including eco-friendly, energy efficient, low impact footprint (with minimal environmental disturbance), no fixed foundations and low environmental impact. They will not require fixed foundations, will be easy to transport or tow to location, and install on-site with minimal resources. Parks Victoria’s Chief Conservation Scientist and environment departments will provide advice on the proposed locations for any flora and fauna in the area, and will monitor the Pods during the pilot to ensure no damage is done to the landscape and the species that inhabit it. How will this program help tourism and conservation awareness? Nature-based tourism is a key economic and social driver of our state. It’s an opportunity to highlight the important conservation work done by our rangers and the entire Parks Victoria team. So, Parks Victoria has come up with an innovative new way to attract more visitors to our parks and encourage them to uncover the many experiences in our parks. We’ve created a pilot for this idea to test its appeal and work on developing it further with the community and others. We believe this could be an exciting addition to our current conservation program. It will broaden the range of people who visit and give them an unforgettable and unique nature-based experience. It will also help promote the reasons why we need to conserve our environment. And the more visitors that arrive, the better the wellbeing of our community. For the pilot, it's important we engage the many Victorian groups who are as passionate as we are about conserving our parks for the future. This is a pilot so the CANOPY – Eco Sleeper Pods are not available to be booked.